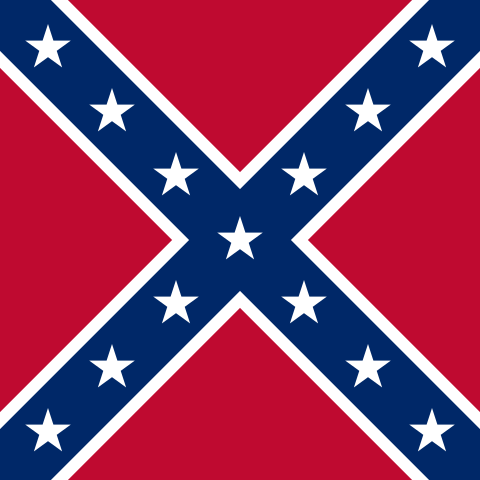 Square land battle flag of Confederate States of America. This vector image includes elements that have been taken or adapted from this: Flag of Mississippi.svg. Author Phroziac cut this out of Image:Flag of Mississippi.svg, which is public domain work by Zscout370.